JUPITER, Fla. – Sandro Piaget parred the first extra hole Thursday at Jupiter Country Club for his 12th victory on the Minor League Golf Tour. Piaget outlasted Ryan Snouffer after they tied at four under par 68. Snouffer is still looking for his first MLGT win. He has been in a playoffs= in his last two events. At the par-4 first hole, Piaget, of Jupiter, two-putted from 17 feet to edge Snouffer, of Sparta, NJ, who was short of the green on his approach, then pitched long and failed to save par from 18 feet. In regulation, Piaget made two birdies on each nine, at Nos. 8, 9, 12 and 16. He received $1,000 from the $6,425 purse and an additional $217 from the optional bonus pool. 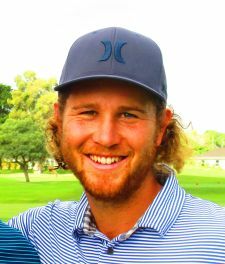 Snouffer had five birdies and a bogey and collected $700 for finishing second among 51 starters, On March 29 at Martin Downs CC in Palm City, Snouffer lost to Brant Peaper of Tequesta, FL on the second playoff hole after they tied at 67. 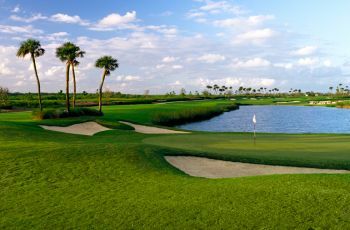 The MLGT plays three tournaments in Martin County next week: Monday, Florida Club; Tuesday, Evergreen Club; and Thursday, Monarch CC.